As a professional independent florist I can provide you with incredible value for your wedding flowers when compared to high street or contract florists as I do not have the expensive overheads of a retail shop, or stock. I buy flowers at highly competitive rates through direct buying arrangements and contacts with the leading UK growers and importers, many of which have been established for over 2-generations. As a guide, I can provide you with some typical wedding flower prices on request. These can vary depending on season and demand. 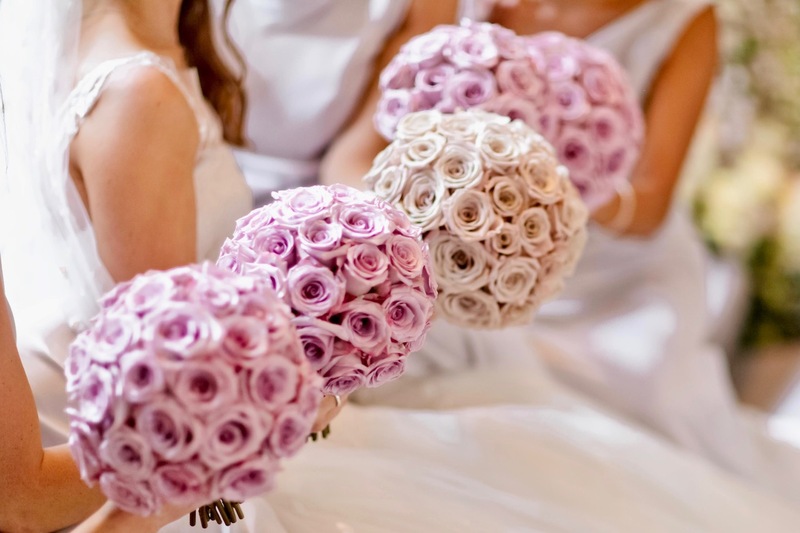 All wedding flower arrangements and displays are designed to your personal requirements. Please email me at rachel@rachelmorganweddingflowers.co.uk or call me on 07701 092624 for further information and typical wedding price plans. 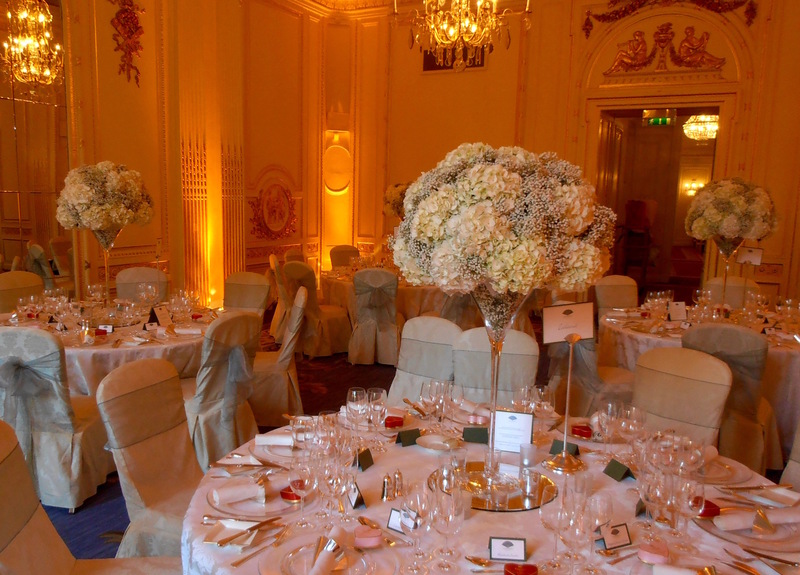 Tall table centres at the Mandarin Oriental Hotel, London. 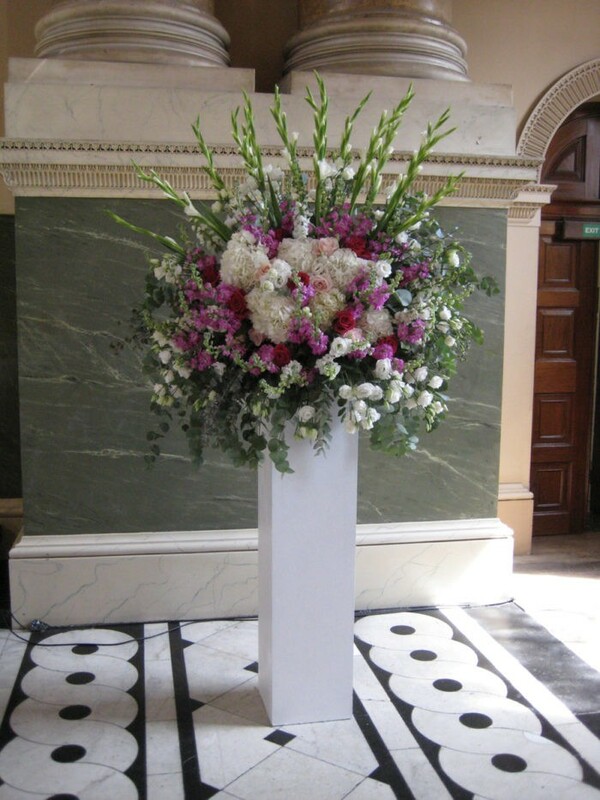 Pedestal display at the Chapel in the Old Royal Naval College, Greenwich.